A trade body is backing a new demand from Citizen's Advice telling the government the Universal Credit system needs a major overhaul, as more than half of claimants are seeking help because of the risk of eviction due to rental arrears. The charity states that the five week minimum wait before recipients receive their first payment has caused severe hardship to claimants. Many are in rental arrears, going without necessities such heating and food and being unable to pay bills. More than half are being supported by family and friends, which in many cases will have to be paid back. A trade body spokesperson, said “One of the main drivers of rent arrears has been that tenants cannot routinely choose to have the housing element of Universal Credit paid directly to their landlord at the start of a claim. Many tenants prefer to have the assurance that their rent is paid and their right to do this should be introduced immediately. 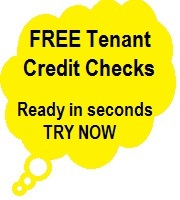 Recent research carried out by the trade body found that 61% of landlords with tenants claiming Universal Credit were faced with rental arrears over the last twelve months. In 2017 38% of landlords with Universal Credit tenants had experienced rent arrears and 27% in 2016.